Today, thousands of us are launching a season of nonviolent direct action in more than 30 state capitals across America. 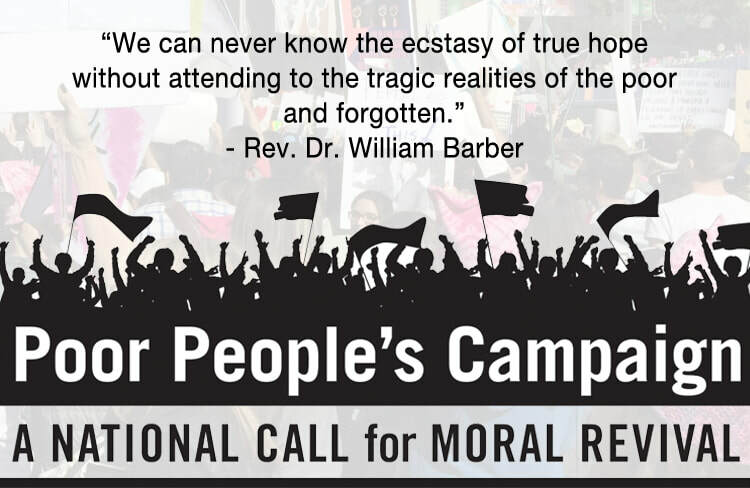 It's called the Poor People’s Campaign: A National Call for Moral Revival — and it's taking the nation by storm. Led by our brother Rev. William Barber II together with Rev. Liz Theoharis, this movement was born out of a vision to revive Dr. King's most radical project: the 1968 Poor People's Campaign. Dr. King called for "a new and unsettling force in our complacent national life." This is the time to revive his call. Kicking off on Mother’s Day and continuing for 40 days until June 23rd — the last full day of the 1968 Poor People’s campaign—people across the country will engage in civil disobedience and protest policies that perpetuate poverty, racism, militarism, and ecological devastation. All grounded in the ethic of love. 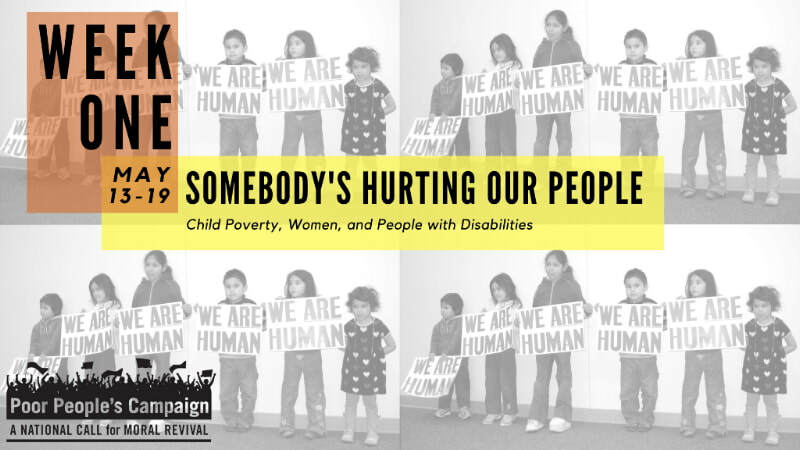 The Revolutionary Love Project is honored to stand with the Poor People’s Campaign as they take this work of justice to the streets. Pushing through this darkness together is the only way to fulfill Dr. Martin Luther King’s dream of what our nation could be. Read all about the campaign in today's New Yorker — William Barber Takes on Poverty and Race in the Age of Trump. See the schedule below for upcoming rallies, and visit the Poor People’s Campaign website to find events near you. If you can travel, please join us at the U.S. Capitol for the mass campaign on June 23rd.